"Al you will greatly missed by sooo many. 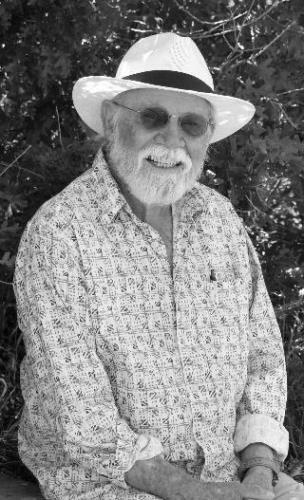 Alice my prayers..."
Albert Charles Bockhahn, 73, passed away peacefully on Saturday, January 19, 2019, at home in Ignacio, CO after battling cancer. Born in Belle Fourche, SD, March 1, 1945, to Gayland George and Verneta Mae (Clark) Bockhahn, Al was raised in Montana and Wyoming. He spent many years in Colorado Springs and Durango, CO, as well as in Stillwater, OK, where he raised a family, coached many of his children's sports teams, and brought joy to those around him. Shaped by his upbringing and experiences in the Army during the Vietnam War, Al had a strongly individualistic approach to life and a wicked sense of humor. He was as tenacious as he was lovable with a heart of gold, a gentle soul, and a passion for improving the world around him. Al loved listening to music, gardening, enjoying nature, caring for animals, and spending time with his friends, family, children, and adoring grandchildren. Observant and empathic, he strongly believed in helping others and his altruistic attitude was contagious. Always humble, he wouldn't believe the impact his life will continue to have on the many people who loved him. His smile and positive outlook will never be forgotten. Al will be missed by partner Alice Webb; children, Tiponi Potts and fiance Scott, Maya Gossman and partner Les, and Clark Bockhahn and partner Kara; former wife, Linda Feazle and husband Ron; grandchildren, Kaia, Tobias and Laila Gossman; siblings, Marlys Indelicato, Gayland Bockhahn, Jr., and Gaylene Presher; and many cousins, nieces, and nephews. Al was preceded in death by his parents; sister, Doreen Backen; and brother, Dale Bockhahn.